Since we opened our doors in 1971, and began designing and fabricating sacramento countertops, we have been locally owned and operated in the beautiful capital city of Sacramento, CA. We are the premier source for the custom fabrication of quality solid surface products. Our business was founded on the highest standards of excellence; a tradition we extend to each client. We truly pride ourselves in our superior craftsmanship of sacramento countertops and customer service that is second to none. In 2005, we expanded our 24,000 square foot sacramento countertops facility to include a state of the art stone fabrication facility. We have invested in the finest automated tools and machinery to ensure precision in fabrication. When you purchase from Countertop Designs Inc of Sacramento you can be sure that all fabrication is performed on our site. We use no subcontracted labor, which means no middleman markups! 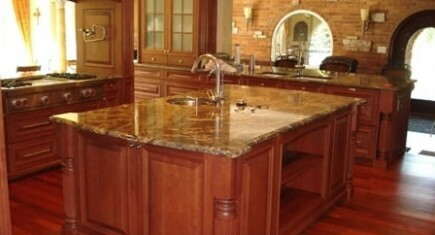 Purchase from the leader in sacramento countertops and you purchase directly from the source!